Apartments Aida are located in the place Drenje, near the coast and the beautiful beaches with crystal clear water. 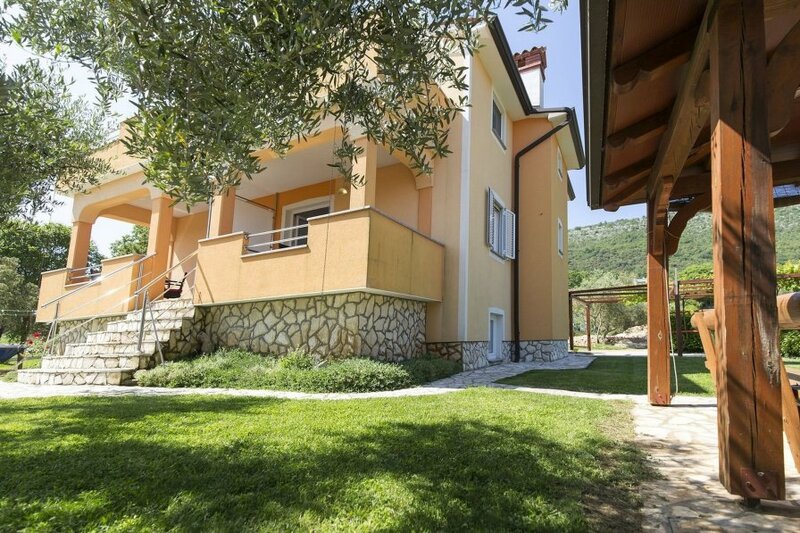 The well-known seaside town of Rabac and the medieval town of Labin are a 15-minute drive away. You'll have a shared garden with terrace, BBQ, swing and trampoline at your disposal. The apartments have sea views and air conditioning. Small pets are on request, upon payment. Aida 1 is situated on the ground floor. It consists of a living room with access to the covered terrace and garden, a double sofa bed (for children), a dining table and a kitchenette, a bedroom and a bathroom. The apartments Aida 1 and 2 share a terrace that is separated by a dividing wall.